Popular comedian and impresario Huu Loc died on May 17 in a traffic accident on 12 in Ho Chi Minh City at the age of 37. Born in the southern metropolis in 1973, Loc graduated from the Ho Chi Minh City College of Stage Arts (the former name of the HCMC University of Stage and Cinema). Loc, who was most famous for his work at the Nu Cuoi Moi (New Smile) Theater, was the younger brother of famous stage actor Huu Chau of Idecaf Theater. He was also the nephew of famed veteran comedian Bao Quoc and the late resounding cai luong actress Thanh Nga. 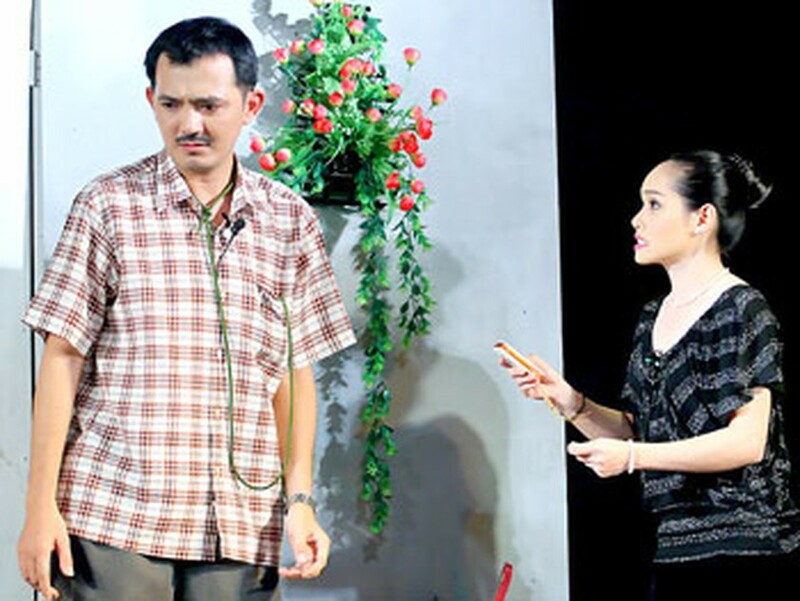 He founded the Nu Cuoi Moi Theater in 2005 and has created opportunities for young artists in a series of comedies that attracted tens thousands of viewers over the last several years. Fans were shocked at Loc’s untimely death. They have gathered at his house to express their gratitude and condolences to Loc’s wife and two children, only at 9 and 5. His body is being kept at his house C59 Nguyen Trai in District 1. The coffin will leave the house at 6 am on May 20 for cremation.